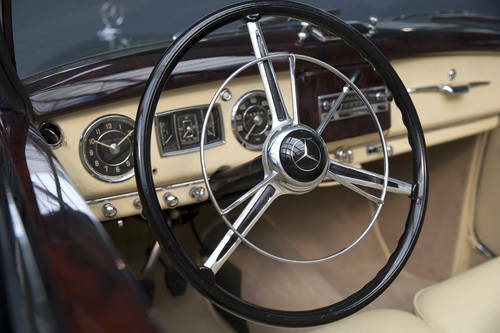 In 1951, Mercedes introduced its 220 series. 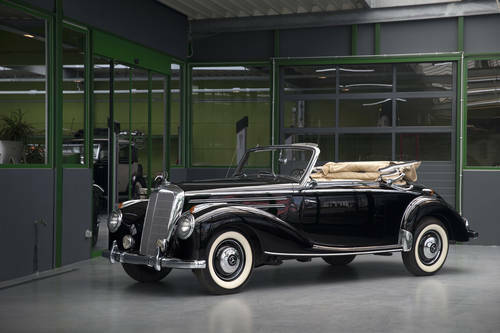 Together with the flagship 300 series, these were the first post-war Mercedes with a complete new and cutting-edge 6-cylinder engine. Sporty performance, a comfortable ride and an superb looking bodywork. What else would you looking for? 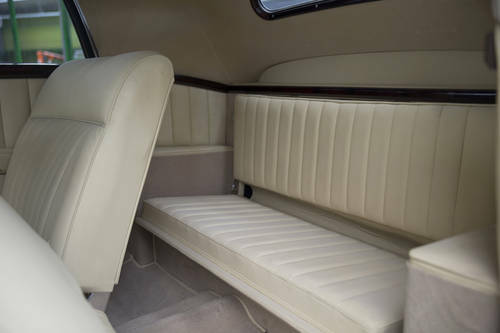 You could choose between the 220 Limousine, the 220 Cabriolet A (2 + 2), the Cabriolet B (4 seater) and the 220 Coupe that was inspired by the Cabriolet A. 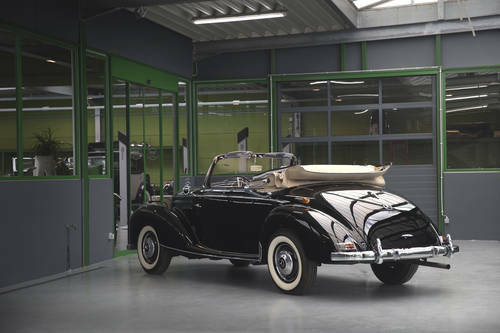 The car we show you here, is in our opinion the prettiest of them all: the Cabriolet A. 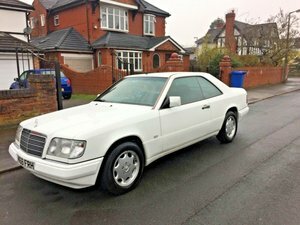 With its elegant back, streamlined headlights and beautiful colour combination, it is a very desirable car. 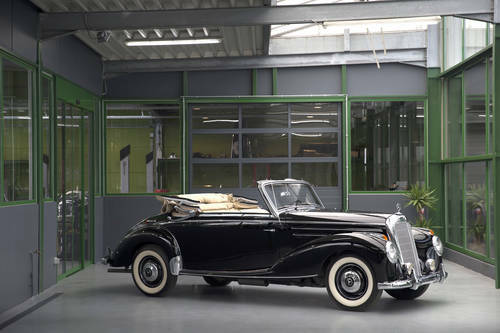 Only 1278 Cabriolet ‘A’s were ever produced before the Mercedes Ponton took over, With many lost over the years this makes it really quite a rare car indeed. 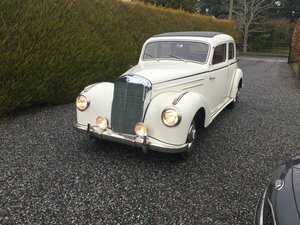 Very reliable, more than enough room for luggage and a very willing engine, this is your ideal partner for a Sunday trip as well for a rally to Italy. 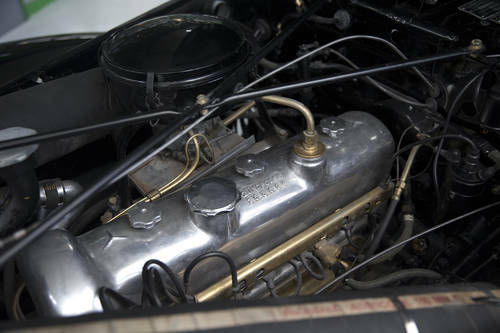 The car is completely restored with a lot of eye for detail. 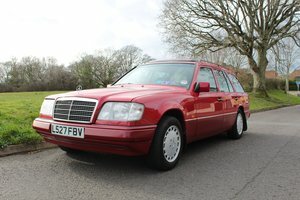 Very easy starting and great reliability making this a perfect car to drive with confidence for a long trip. The car comes complete with the original jack, spare wheel, etc and is completely matching numbers. If you fancy a nice convertible you can enjoy over the coming summer, this is the car to have!